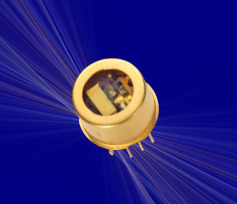 This monolithic laser diode incorporates a distributed Bragg reflector (DBR) for stable frequency performance over its life time. It provides a diffraction limited, single lateral and longitudinal mode beam. Facets are passivated for high reliability. 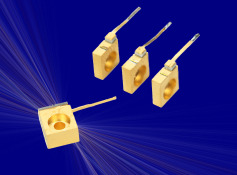 The 760 nm Laser Diode is designed specifically for O2 detection. three-digit format for all power entries. Call factory for special frequency selection and certification to certain atomic absorption lines.